And at this friendly event at a gorgeous Baptist church full of friendly people in Highland Park, I had a disturbing religious epiphany. One that has haunted me ever since. And led me to question myself in deeply uncomfortable ways. But before I tell about that, I need to describe the conference. There were many top-notch talks. One was by the always delightful Eric Metaxas on the shallowness of lazy secularism in academic culture. Another talk came from pioneering nano-technology inventor and biologist James Tour. He exposed the utter ignorance and bafflement that Darwinian theory generates concerning the origins of life. Natural selection and random mutation cannot begin to account for development of the cell, for instance. The extraordinary complexity and fine-tuned perfection of the most basic organic structures of even primitive life forms…. It baffles mathematicians and computer scientists. Some of them have noted that the odds of even one beneficial mutation (much less hundreds of millions, which Darwinist theory would need) occurring in all the time since the earth cooled are infinitesimal. Like the odds of Mt. Rushmore being a natural formation. Intrigued, I ran out and got one book which Tour recommended, Darwin Devolves, by Michael Behe. I’m reading it now, and promise a report on it when I’m finished. intermediate species which would have borne out Darwin’s theory. … Darwin worried about this, especially about the vast geological period called the Cambrian. In it, we find the sudden appearance of more than dozen whole new types of animals, as different from each other as shrimps are from squid, as cockroaches are from earthworms. 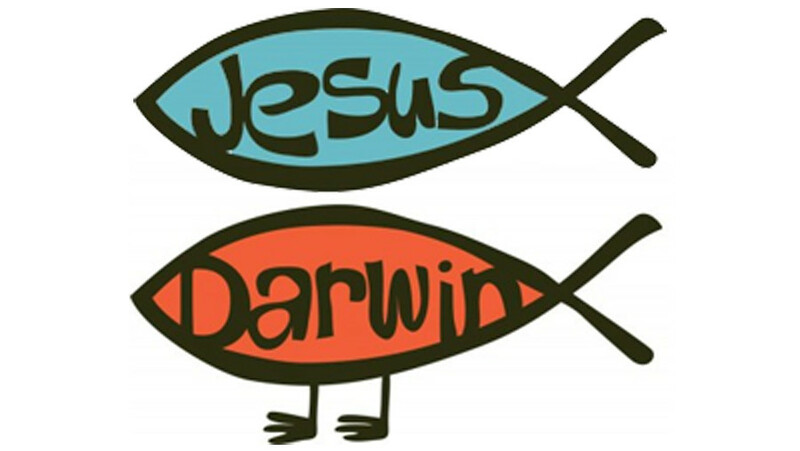 They all seemed to crop up at once, and in Darwin’s day there wasn’t a trace of any ancestors who bore out his idea of slow, gradual changes from one common ancestor. Darwin put his faith in the ongoing search for fossils, admitting that if they weren’t found they posed a grave threat to his theory. We still haven’t found them. What we have found, however, is how genetics work. We’ve learned how exquisitely complicated the simplest protein is. (It seems … designed, just like the eye, the wing, and the brain.) And we’ve invented computer science. We’ve seen that the code we write to run our computers is quite analogous to the code of DNA. And as Meyer explains in his rich, well-argued book, it was computer scientists who first raised the serious question: Is it really possible that random changes in DNA code would generate new structures and species? Because that never, never, never happens with computer code. This trend became almost a consensus by the end of the nineteenth century. That was when physicists, for instance, felt confident that they’d explained away virtually every cosmic conundrum. You can find old textbooks from the period, in fact, which half-smugly, half-mournfully stated that physics as a field was almost finished. Virtually everything had already been understood. (In 1890.) Just a few minor questions remained. But we wouldn’t need God to answer them. The universe had always existed. It was very old, and very large. But our telescopes had penetrated most of it. And soon our thinkers would account for the last few anomalies. Of course, this proved wildly wrong. Uncounted galaxies exist that these Victorian materialists never dreamed of. Neither space nor time are absolute, but relative to each other. Space is not static and flat but dynamic and curved. Most importantly, the universe was neither static nor eternal. It had a beginning, the Big Bang, which suggested a Beginner. And eventually, an end. Meyer told the story of how Einstein, as a good secular scientist, fiercely resisted this conclusion — though a Catholic priest had already theorized the Big Bang and astronomer Edwin Hubble had stumbled over evidence of it. After accepting the Big Bang, the honest Einstein began to talk about God, and would throughout his life. In fact, the more we learn about the universe, the less plausible we find the comfy scientific materialism that satisfied Victorians like … Charles Darwin. What If God Is as Real as a Heart Attack? At some point during this talk, I felt a gear turn in my head. Then a shudder went through the whole Rube Goldberg, sending all the mismatched parts of my mind into frantic motion. No. Real as the light by which you’re reading this. As certain as the smash of a plate you drop on the floor. Reliable not as in “socialism reliably produces poverty and shortages” but as in “if you stick your hand in a fire, it will hurt.” Inexorable and majestic, impossible to escape. Not the wisp of hope you feel for a happy outcome when your airplane hits some turbulence, but the vertigo which you feel looking down on the Grand Canyon, which seems somehow to be sucking you in. That’s a horse of a different feather. What would it mean if the God of the Bible were real to us in that sense? If the Fact of God’s existence were as ludicrous to deny as the existence of air or water? As suicidal to flout as a hundred federal agents pointing rifles at your windows? When someone presents what seems like a compelling argument that only a tiny percentage of all humans are saved. Or when I find it difficult to laugh off religious assertions that fail my “brimstone test” That is, the point at which one says, If that were really what Christianity taught, I’d lose faith in the whole thing. In fact, I’d actively hope that it wasn’t true. Maybe those people who resist the evidence of their senses and their reason, and cling to scientific materialism with the fervor of religious faith just don’t bother with the curtain. They keep their Darwin on the sofa, and chat with him all through the day. What a friend they have in Darwin, what blessed assurance of endless rest. … And when they attack, try to silence, fire, or persecute people like Stephen Meyer or Michael Behe, they’re really just defending themselves from a Truth of which they’re terrified. Well, the fear of God is said to be the beginning of wisdom. Though probably not in this sense.